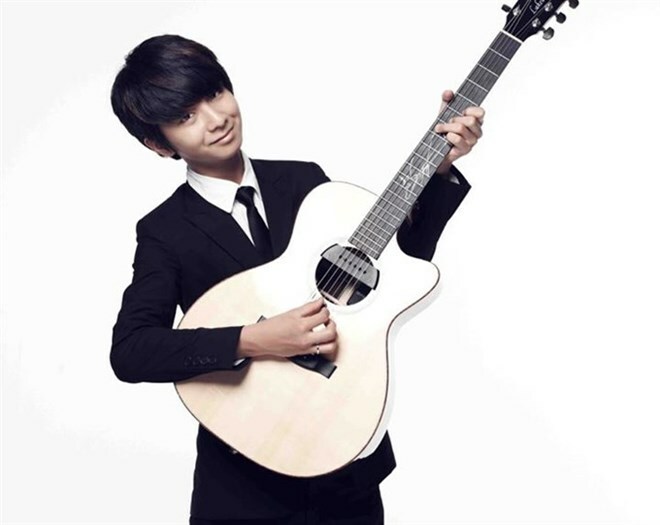 Hanoi (VNA) – The Republic of Korea's guitarist Sungha Jung will return to Vietnam for live concerts in Hanoi and Ho Chi Minh City on August 26 and 27. The concerts will take place at the Vietnam Youth Theatre in Hanoi and the HCM City Conservatory of Music. As a Korean prodigy who started playing the guitar at the age of five, Jung is now very well-known, especially on YouTube with over 991 million views and over three million subscribers by the end of April 2015. He has won 15 YouTube awards, including six No 1 awards. He has also composed and arranged many songs in diverse styles and has released eight albums, including his latest Mixtape in May. The guitarist started playing the instrument when he was a child while watching his father playing. After being taught the basics by his father, Jung further developed his skills by trying to play whatever he heard or by studying online videos. He first discovered his interest in fingerstyle guitar when he heard famous Japanese guitarist Kotaro Oshio using this special technique, where the strings are plucked with the fingertips, fingernails or picks attached to the fingers. Jung’s cover of The Pirates of the Caribbean theme song, which has had over 49 million views on YouTube, made him an Internet sensation when he was just 12 years old. This is third consecutive year Jung has toured the country.